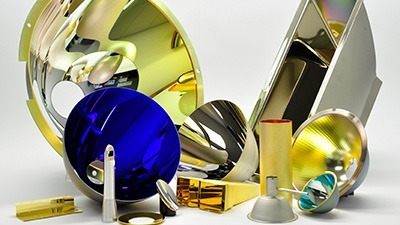 Reflector Refurbishment | Optiforms, Inc.
Optiforms offers a complete surface refurbishment service on reflectors up to 25 inches in diameter with flat or curved surfaces. 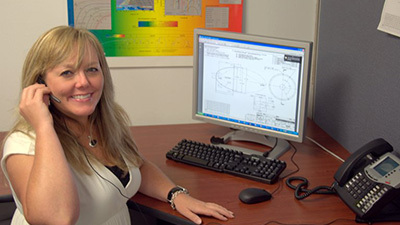 This process strips and recoats damaged or degraded coatings such as gold, silver, aluminum; including AF, AQ and EA. Typically, these coatings can be stripped without damaging the substrate, allowing the application of a fresh thin film reflective coating. 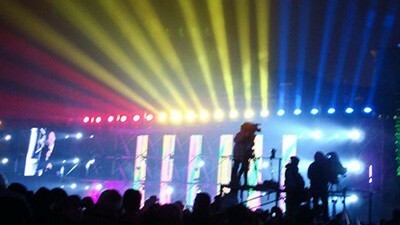 Refurbished applications range from outdoor lighting systems to plates used in UV curing processes. In addition to electroformed metal reflectors we can also strip and recoat glass reflectors utilizing many of the same coatings one would find on our metal reflectors. If your component has a bonded aluminum spinning or mount, we can typically remove them before the stripping. They are then refurbished and the thin film coating process performed. We subsequently re-bond the original mount using precision bonding fixtures and proven high temperature adhesives. Some minor surface blemishes can typically be removed with our comprehensive surface buffing and polishing techniques. 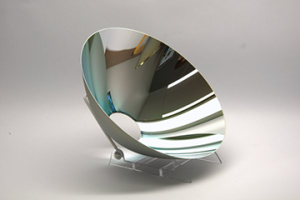 We will be happy to thoroughly inspect and evaluate your reflectors at no charge. If they cannot be refurbished we will return them in their original container and ship them back to you freight collect. We encourage you to contact our customer service department to discuss your possible refurbishment requirements. 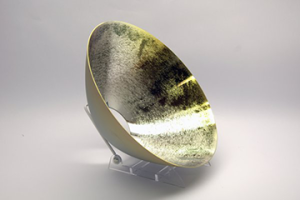 We can help you make arrangements for your reflector to be shipped to us for its free evaluation.